Get the best digital radio and TV reception now! Home entertainment has been revolutionised by the advent of digital TV and DAB radio aerials. These amazing bits of tech are powerful enough to pick up signals that can deliver perfect picture quality. Here at Slough Aerials & Satellites, we’ve helped plenty of domestic and commercial customers in Berkshire, Oxfordshire, Hertfordshire and Middlesex to replace their old analogue aerials with brand new digital aerials. Of course, our service capabilities stretch way beyond just installing, replacing or repairing digital aerials. 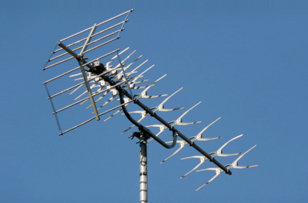 We’re experts at the TV and radio systems that rely on these aerials. Systems like the ever-popular Freeview TV. Or BT’s TV offering BT Vision, as well as YouView and NOW TV. We know all about the wiring, the set-top boxes and the breathtaking choice of entertainment offered by these systems. So don’t go thinking that we’re only here to help with aerials. We can help with all the major domestic digital entertainment systems. Landlords, people living in apartment blocks and managers of places like schools and hospitals that have a need for multi-room installations, will discover we’re experts at installing and repairing the most popular communal and commercial TV systems, namely IRS, SMATV and MATV. 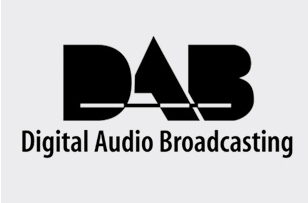 DAB (which stands for Digital Audio Broadcasting) massively expands the number of radio stations available. The service requires a powerful aerial which our experts will install in Slough and other areas of Berkshire, Oxfordshire, Hertfordshire and Middlesex. So call us first for the fastest, most reliable service. We can even improve the reception you get from traditional AM and FM radio stations. We’ve lost count of the times customers have contacted us, hoping we’ll take on a digital aerial installation that another company has refused. Almost always we’re able to help them. That’s because our Technicians are qualified to carry out installations in all kinds of high up and hard to reach places. All their work and the parts they used are guaranteed for 12 months. It’s because they are experts in their field, with at least 5 years’ experience in digital TV aerials, backed up by thorough training in customer service. One of our most popular features is our ability to respond fast to calls. We’ll usually be able to reach addresses in Middlesex, Berkshire, Hertfordshire and Oxfordshire on the same day we receive the call. What’s more, 95% of the time, we’ll complete jobs on the day they’re started. One final service worth mentioning is our DIGITAL AERIAL SUPPORT AND MAINTENANCE PACKAGE. Popular with our commercial clients, this service will see us inspecting your digital aerial and connected tech 4 times per year for a small fee. Plus you get discounts on any future work you ask us to carry out. Want the number of a company that can help with digital aerial repairs, upgrades, installation and maintenance? Here ‘s ours: 0800 051 7674. © 2018 Slough Aerial & Satellites, All Rights Reserved.